Marketing organizations are often limited in their ability to progress marketing tactics from single channel to cross-channel and real-time customer engagement. While marketing organizations might have a robust customer engagement strategy in place, often times there is a gap between their strategy and their ability to execute, with the right personalization and context that customers prefer. Over 62 percent of customers are always-on and readily addressable, but marketers aren’t implementing the right strategies to reach them. 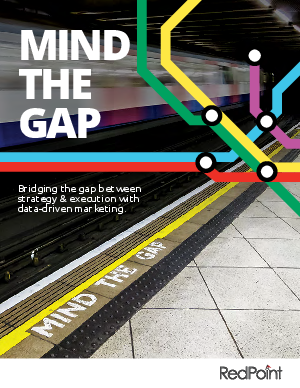 This eBook discusses data-driven marketing tactics that can help marketers mind the gap – bridging customer strategy and ability to execute, with the right personalization and context that customers prefer.